 Salem Garage Door Panel Repair and Replacement is the number one most reliable repair company in Oregon, offering the best deals available and providing 24/7 service. We work on all doors using only the highest quality panels while still offering you the lowest possible price available. Our technicians are trained vigorously to insure that only the most reliable professionals work on your door. If you own a garage, you may at some point in time have to deal with a damaged garage door panel. If a panel or two of your door ends up bent or broken, what should you do? When should you have it repaired as opposed to replacing the entire door? Normal wear and tear can create scratches, dents, rust, cracks, and warping. We recommend you consult a professional to assess the severity of the damage and determine if it is confined to just one panel. Minor damage calls for minor repairs. On the other hand, if the door was struck by a car for example, the damage may be much more extensive and could prevent you from safely operating your garage door. Larger damages call for larger repairs or even replacement. We recommend you consult a professional before attempting to perform any repairs yourself as many parts are under extreme tension and could cause severe bodily harm or even death. How Old Is Your Door? Deciding to repair or replace will depend, in part, on the age of your door. The typical garage door last for around 20-25 years. If your door is still young, you may feel more inclined to repair the panel. However, purchasing a single panel for an older door that must be the same in weight and size may be difficult. Older doors also tend to ware due to environmental factors which makes finding a matching replacement panel a pain. You should also consider advances in garage door technology in recent years, with features like safety sensors, pinch-resistant doors, and energy-saving insulation. If you are planning to sell your home, replacing the door is the best bet for getting your money’s worth. Garage door panel repair is one of the more expensive garage door repair costs. Price is affected by several factors including, brand, model, size, and insulation as well as the material used (wood vs steel, for example). For an exact estimate for replacing an individual panel or entire door it is best to have a professional inspect the door and present you with all of your options. You should also be aware that some garage door manufacturers are no longer in business or are no longer represented by suppliers in this area. This makes it more expensive to have the garage door panel shipped here. If more than one garage door panel is damaged then replacing all the garage door panels may be more cost effective. 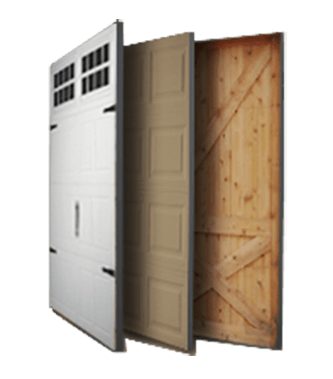 Additionally, some companies, unfortunately, will tell you a certain brand of door panel is not available because they do not represent that manufacturer or wants to sell you a new garage door. We’ll honestly tell you if and why we can’t help you and happily refer someone who can. Remember that safety is of the highest importance. If there is any damage, do not attempt to open or close your garage until you can repair or replace it. Even minor damage can become more severe if you don’t have it fixed immediately, costing you more money and putting you and your family in a potentially dangerous situation.